It’s such a good feeling to see everyone up and dancing at a party. It shows that they’re in the moment, having a good time, and it makes my pictures all the more interesting. 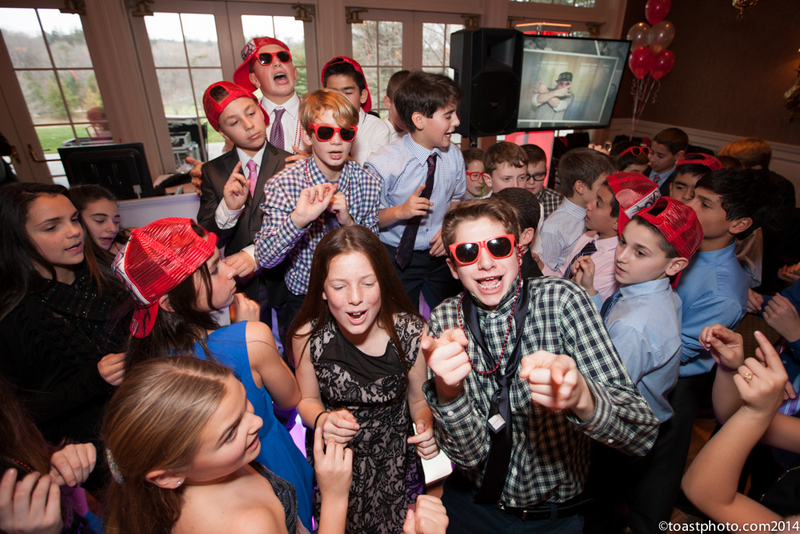 When I was thirteen, dancing was the big social activity at parties. It’s how I made my friends, and began talking to all the “ladies.” Seeing the kids show off their crazy moves brings me back to those times, and I love being able to capture them in that element. Using my super wide lenses enables me to catch all the action from a cool vantage point. This photo also shows how color plays a huge role in my final photos. It can show themes, like this photo with the red hats, the point in time, the magnitude of emotions, and so much more. My only hope is that when this kid becomes an adult and looks back on this picture, he will be transported back to this moment in time. If so, I think I did my job.